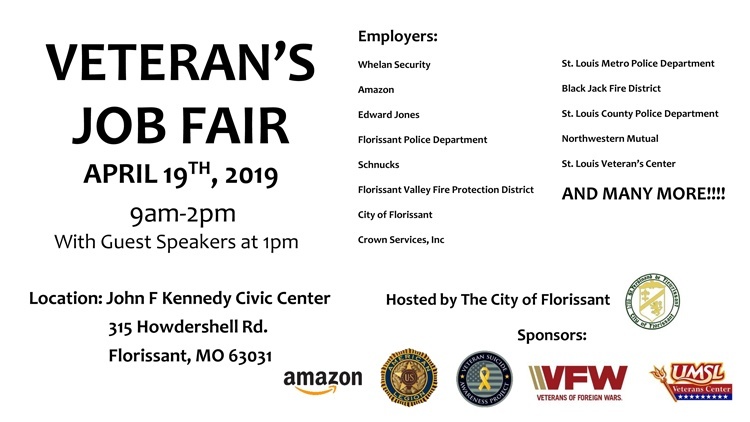 The City of Florissant is hosting a Veteran’s Job Fair on Friday, April 19 9am-2pm at John F Kennedy Civic Center. Guest speakers at 1pm. Many employers will be present at this helpful event.